Maserati emerged on to the racing scene winning 1926 Targa Florio, with a 1.5L Tipo 26 driven by Alfieri Maserati, eldest of the four Maserati brothers. The company formed by the four brothers, Officine Alfieri Maserati, became very successful in racing in the years before World War I, winning a number of races with their own designs, featuring 4, 6, 8 and 16 cylinder engines. The 16 cylinder engines consisted of two straight 8 engines mounted parallel with each other! Just prior to the Great War, the brothers formed Maserati S.p.A. on December 1, 1914. Before I forget, there were two very notable race victories, when Wilbur Shaw won the 1939 and 1940 Indianapolis 500 in a Maserati 8CTF – the only Italian carmaker ever to do so! 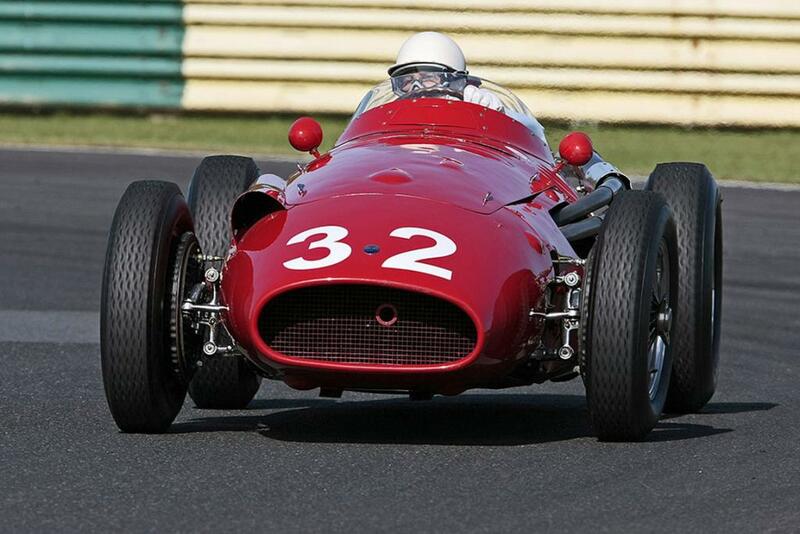 However, despite Maserati’s many successes, both as a factory and with privateers, my interest focuses on the great 250F, which first appeared at the opening round of the 1954 Formula One season at the Argentine Grand Prix, won by Juan Manuel Fangio – first time out. Powered by a 2.5L straight six, it produced 220bhp at 7800rpm, with finned drum brakes, independent front suspension and a De Dion rear end. It was designed and built by two former Ferrari employees, Gioacchino Colombo and Valerio Collotti. 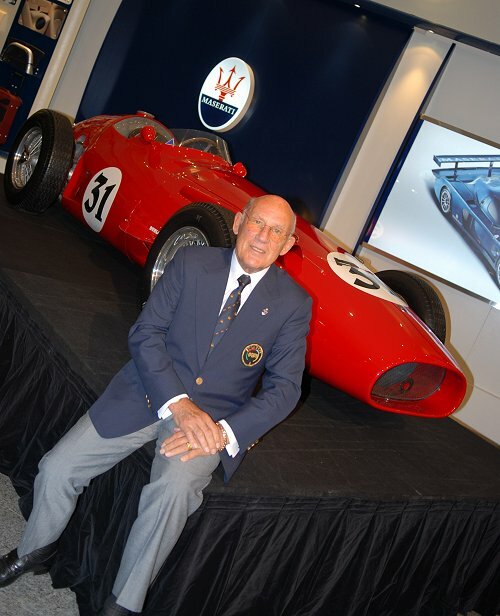 At that time Stirling Moss was graduating to Formula One, and both he and his father, Alfred, knew he must have a competitive car – so Alfred (who managed Stirling’s bank account) acquired a 250F from Maserati. Alfred had already agreed with Maserati that Stirling’s car would have identical mechanicals and any tricky gear fitted to the factory cars. 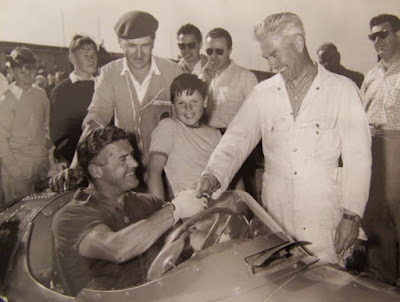 He raced the 250F to his maiden grand prix podium at the superfast Spa-Francorchamps circuit in 1954. Stirling campaigned the car for the whole 1954 season, but the 250F was dogged by unreliable oil pumps, wheel bearings and a broken axle in the British GP. 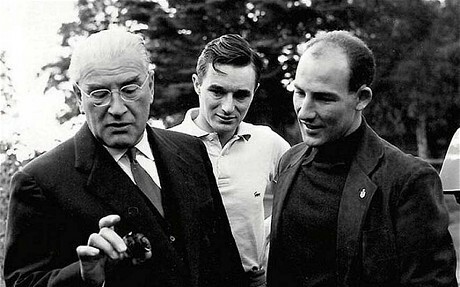 He joined Fangio at Mercedes-Benz for the 1955 season. 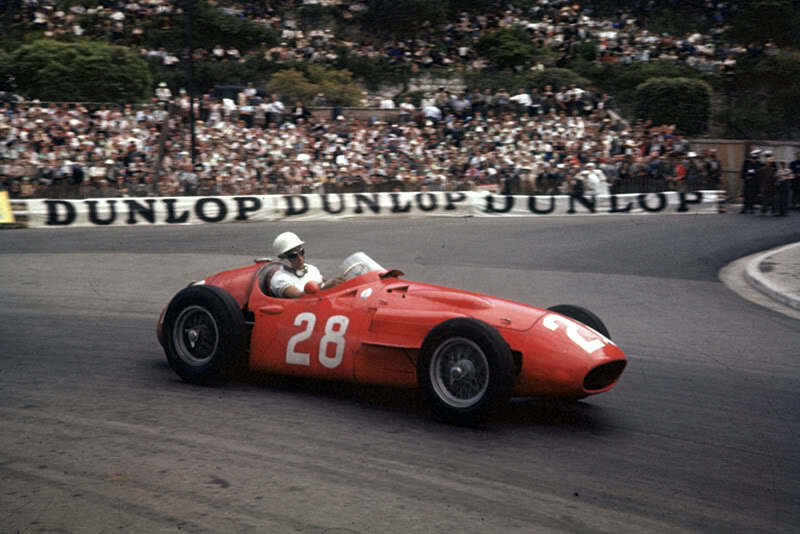 However, he rejoined Maserati’s ‘works’ team in 1956, winning the Monaco and Italian Grands Prix. Stirling told me: “It was a beautifully-handling car, with very stable oversteer which you could balance between throttle and steering. I loved it, and it was great on a day when nothing went wrong. Driving it made me feel like a winner.”. 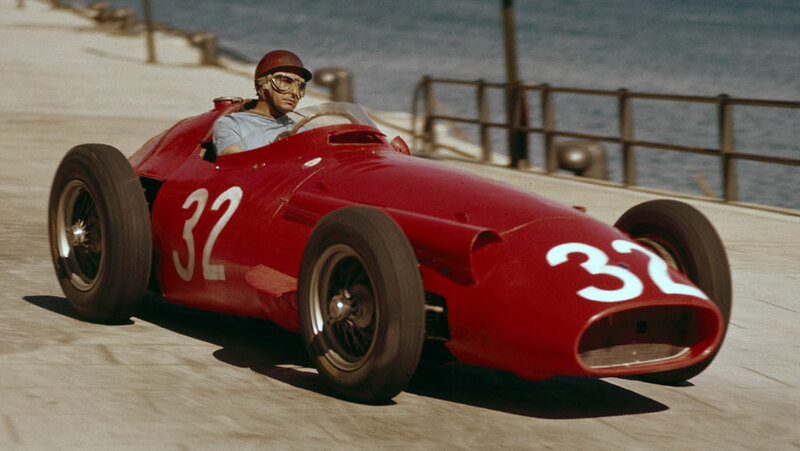 In 2006 Stirling was re-acquainted with the 250F in which he won the 1956 Melbourne Grand Prix at Albert Park. Back then the race was not part of the F1 season, but the result boosted him to three wins for the year. The Maserati 250F has another great link to Australia, as the car raced very successfully by Stan Jones, father of the 1980 F1 World Champion, Alan Jones. 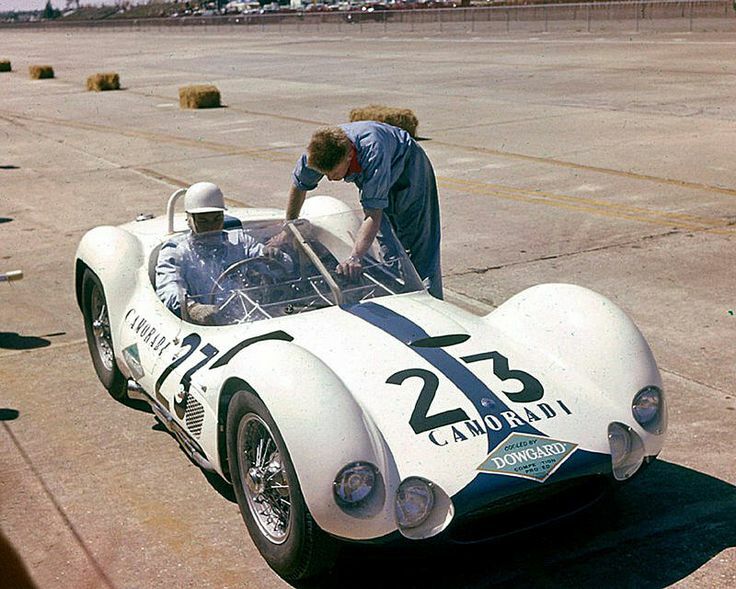 Stirling Moss’s other connection to Maserati were his appearances in the Tipo 61 ‘Birdcage’ sports-racing car. He won in its initial outing in Rouen in France in 1959. 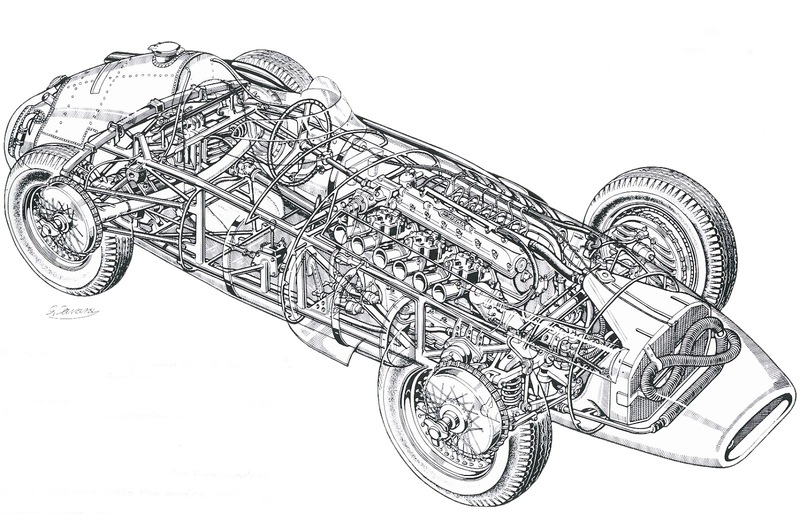 Engineered very much along the lines of the 250F, the Tipo 61 had a 2.9L 4cyl engine canted over at 45 degrees, plus front and rear suspension design taken straight from the 250F.